iders of the Metro Rail Transit (MRT) were probably fuming this morning, Wednesday, March 21. Riders of the Metro Rail Transit (MRT) were probably fuming this morning, Wednesday, March 21. 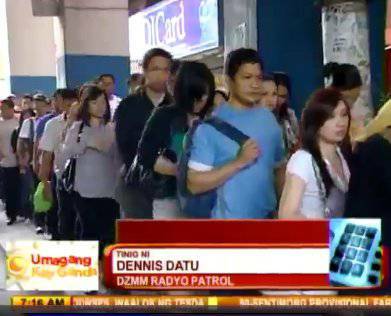 Umagang Kay Ganda, citing a report from dzMM reporter Dennis Datu, reveals that "MRT 3 operations were disrupted due to a defect in the switch track of the train depot in North EDSA." The said tehnical obstacle was discovered sometime before 5 a.m. and resulted in just 11 trains running during the morning rush hour. According to the report, there are usually 20 trains during the peak morning hours. For more on this story, log on to ABS-CBNNews.com and watch the Umagang Kay Ganda feature via an embedded video.